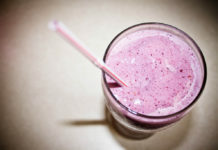 One of the most popular questions people like to ask about any workout is, “How many calories did I burn?” While it might be a popular question, and while we will try to give our best answer, it is important to keep in mind a few important facts about calories no matter what workout program you choose. Calories vary. They can vary depending on how much you put into your workout. They also vary from person to person based on size, metabolism, and much more. Calories should not be your purpose for working out. Working out should not be solely about calories burned and weight loss (even if that is a goal). Barre class is about overall health not just about a number on the scale. Calories are energy. Calories are not the enemy! In fact, we need calories so we can enjoy our barre class to the fullest. Think of calories as energy to recognize you need a healthy amount so you can have the best barre class instead of stressing about calories in the weight management mindset. With that said, you might still be curious about how many calories are burned in class. Classes claim to burn anywhere from 200-500 calories. This is likely because no body is the same, and various factors can affect the amount of caloric burn. Also, it might be how intense an individual makes the workout for the day. All in all, projected calories burned should not be why you decide to take on a barre fitness program, or any other fitness programs for that matter. Calories might be enticing, but think of all the health benefits barre offers. 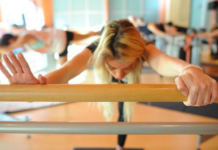 Barre fitness is a great way to get healthier and happier. There is no need to get distracted by calorie burn when trying to lead a healthier lifestyle.